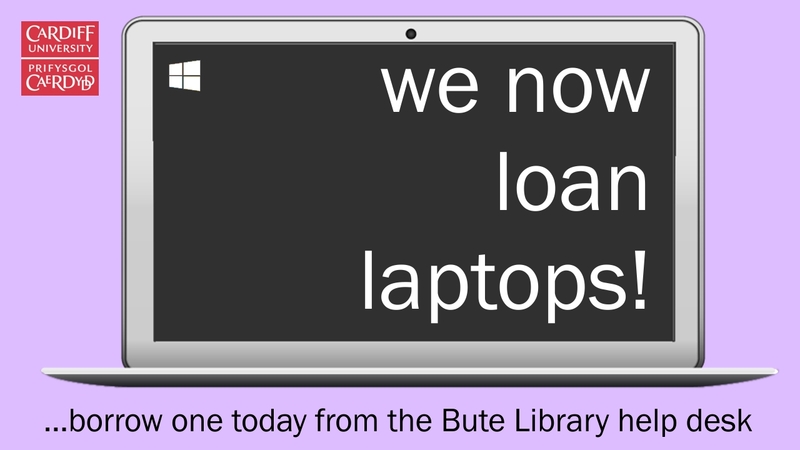 We now have ten brand new Windows laptops available you you to borrow in the library. 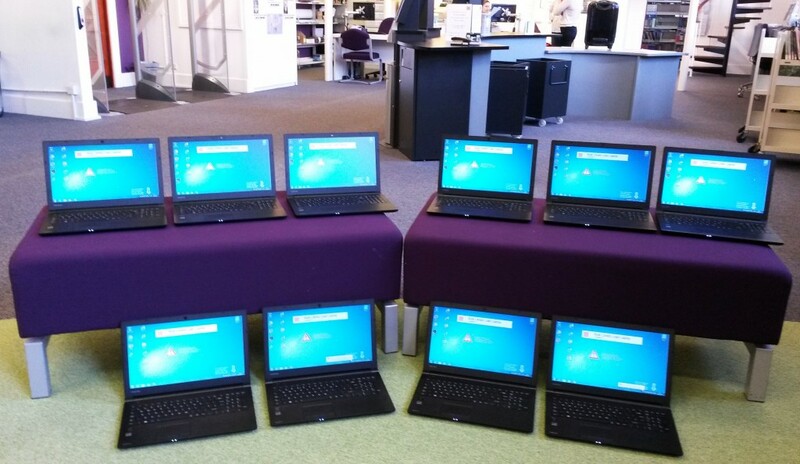 All laptops feature the full Microsoft Office 2013 package, DVD drives, access to the eduroam wifi via a choice of web browsers and are connected to the FOLLOW-ME print queue via your university log-in. 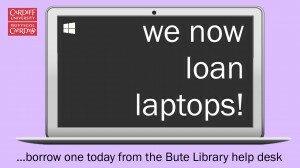 The laptops are issued to your ID card, like a book, and are available for all students to borrow on a 4 hour loan – issue one today from the main help desk in the Bute Library.